Hello there, creatives! Today, it is my honor to be celebrating alongside Altenew and friends for their 5th Anniversary Blog Hop. If you’re just joining us and would like to start from the top you may do so at the Altenew Card blog. Today’s hop is just one of 4 days dedicated to celebrate one of my favorite companies, Altenew. Their design is chic, heavily floral, and oh so trendy. In addition to the many designers creating with Altenew throughout the celebration, several companies have come together in support and are providing giveaways ! YAAAS! Rainbow anyone? Begin creating this card by aligning Flowing Drops stencil over an A2 white cardstock panel and securing with light tack tape, like washi. Lay chosen Altenew Artist Alcohol Markers out in rainbow order. With each color, trace along the edge of a droplet or two. Continue through the rainbow to complete the design. Reposition stencil as needed and add a few more droplets in a pale gray for interest. Carefully remove stencil. Paint the interior of each droplet with Extreme Glitter for a fun effect. Stamp Wishing You sentiment in Jet Black Stazon ink for a crisp, non-smearing impression over the paint. White heat emboss small sentiment on black and pop with dimensional adhesive on card panel. Add a few matte enamel dots for additional detail. Finish by adhering panel to A2 folded card base. The card I created today was inspired from the Magical Marker Techniques class I recently took over at the Altenew Academy. I particularly enjoyed learning the technique about working with stencils and markers. Pairing the two had not even crossed my mind! I love that about taking classes, no matter one’s experience level, something is likely to be presented in such a way to spark an idea, a project… creativity! You can find out more about this class and many more at the Altenew Academy. This is awesome – thanks for sharing a new way to use stencils. I love everything rainbow too! Such a clever creation and beautifully colored! What a great way to use a stencil! I’m going to try that out – your card is fantastic! Love stencils and your rainbow approach. Pretty card. Beautiful card loved the modern graphic look and your idea to use stencil ,rainbow colors makes one happy ! What a simply elegant card! Happy Anniversary to Altenew!!! The rainbow colors are striking. I have the class as one of my courses. I will have to go back to watch it again and to try the technique. Always love to find new ways to use my stencils. Love this colorful and sparkly design Janette! Thanks for the inspiration and happy anniversary to Altenew! What a creative use of the stencil. You have inspired me to try it! Rainbows put a smile on everyones faces! Great card! Love the technique using stencil’s and markers. I’m going to give this one a try! Thanks for sharing. Beautiful rainbow card, and brilliant idea for that pretty stencil! Great card. Happy Anniversary Altenew! Great new way of using a stencil. Thanks for expanding my vision. Oh and I love the card. What a great idea! Clean, simple and it looks beautiful! I really should use stencils… your card is fabulous. Hooray for Altenew at 5! And a rainbow splatter card seems to be a great way to celebrate the occasion Janette! Oh what fun! You got my creative juices flowing with the color. beautiful use of your stencil.. loving the colors..
Love rainbow colors! Thanks for sharing your inspiration. Beautiful and simple. Almost looks hand drawn…that’s a compliment! Wow! Such a great idea and beautiful result! Will definitely check out the Altenew Academy! Beautiful card, nice technique to try. Thank you. Very cool way to use a stencil! I love this!!!! It is CAS and the colors are bright. I love the stencil design. Great job! Outstanding card , very detailed with a lot of colors, thanks. Another great way to use our stencils… and I have one that I’m going to use to try it. I also like the rainbow idea. Thank you! Great card! Nice and simple. What a great way to use your stencils. I never thought of that. Thank you! Wonderful card. Love how you used the stencil. I love your card idea. Wonderful technique. I have this stencil. Got to try this out. Thanks for the inspiration. Happy 5th anniversary, Altenew! Really fun and pretty card. Thanks for sharing and congrats to Altenew! A wonderful and fairly simple card. This is a great way to use stencils instead of inking them the usual way. Love the rainbow look. Love the rainbows and all that sparkle! Never thought of using a stencil that way…thanks for sharing! Really a playful use of colors. Cute, fun card! Thank you! Looks so simple but is really stunning. Happy Anniversary Altenew! I’m new to stencils and never thought of using them in this way. You have a steady hand and I love this card! This is so awesome!! I love your colorful unique card. The bit of shine in the centers is so pretty. Beautiful card. Those rainbow flowering drops are wonderful. What an ingenious idea on using a stencil! This is such a fun design. And the glitter really added a wonderful element to it. I really love the simplicity of this card. The rainbow colors with the black accents look so pretty! Thank you for inspiring me to use my marker!!! Love your card! Pretty card! I love all things rainbow. This is a beautiful card. So simple but it makes me smile. Thanks. Very nice. I’m adding stencils to my collection so I think l’ll draw in some of them instead of ink blending. Thanks for sharing. Love the simplicity and use of stencil!! Totally awesome! Thanks so much for entering your beautiful work in Altenew AECP assignment Gallery. I love your write-up and descriptions! Please keep up with your excellent work! Gorgeous card, and thanks for the tip. Wonderful new way to use a stencil. Fabulous card!! It’s so happy and creative! What a great way to use a stencil! Love the rainbow. Simple but really stunning card. Happy 5th Anniversary Altenew! Love this card! This is fun! I have never been to this site before! Rainbow cards are so popular. Such a pretty card. The rainbow colours look lovely edging the pretty glitter. Creative use of stencils. What a fun and colorful design!! Simply elegant and beautiful! Thank you for sharing your art with me. What a great new way to use stencils. Love it! A really fabulous card design! I love the rainbow colors and CAS design! Love this card! The rainbow colors make it so bright and happy! Love the rainbow effect! And the design is great! Congratulations to Altenew for five years of amazing products and inspiration! Clever way to use the stencils. Love the rainbow effect. Cute simple card! Love that you didn’t feel you had to add a lot of embellishments. This is so cool!! Love the rainbow of color and that stencil!! I just fell in love with it! Beautiful job!! Love how you did the card with the rainbow colors. 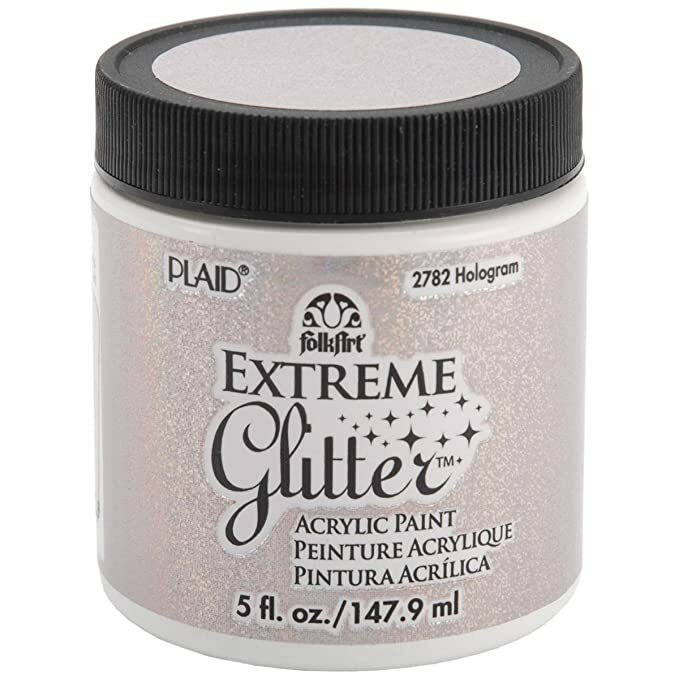 The extreme glitter was an added bonus. Loved it. Cute and simple card! Really like the pop of the rainbow colors! So cool, thanks for showing how to do this – it’s really beautiful and I love your design! Great stencil idea! This is lovely! I feel like the swirl stencil could have so many uses! Love your card!! I have never used stencils that way! Lovely card. Thanks for the teaching time. I’m always u for that! Fabulous! Love the rainbow colors and shimmer! Lovely pretty card! Thanks for the chance to win and sharing. This is such a fun idea for almost any stencil, but particularly these droplets. Love it! What a great design! Would not have thought to use Artist Markers with a stencil. Love th bright colors. Using the glitter makes the design even more unique. Another great post today with beautiful creation! Clever card. Happy 5th Anniversary Altenew! Interesting technique, using the markers with a stencil! The card is a bit quirky, unexpected, but fun! Rainbow, shine, and stencil = a happy girl. So unique! Love it. Happy Anniversary Altenew! Amazing card! So clean and simple and yet colorful. Omg what a cool card I love this technique! WOW! Such a lovely effect. I will have to go check out that class as well. I really love how you used the colours – it looks so elegant. Fantastic card Janette. Love how you used the stencil! Pretty rainbow colors! Happy Anniversary to Altanew! Thanks for the info, this technique, the use of the colors and stencil. Great way to use a stencil for card making. Simple yet pretty looking card! Wonderfully clever way to use the stencil, Janette! Love the bright, happy colours! So special! Thanks so much for sharing and for your wonderful inspiration! What a great idea with the rainbow colors and the glitter! I never think to use my stencils that way! Great card! I have never thought to use my stencils this way; thank you for the inspiration. Wow, what a great idea. I’ve had my eye on that stencil, so thanks for sharing this idea. Love your card! Simple and sweet. Thanks for sharing. Hapoy 5th anniversary Altenew! What an adorable card. Really cute! Love the coloring, awesome job. Thanks for sharing your creativity! Simply perfect, Janette! Love all the colors you chose! Great card and I love the design and the added marker colors! Love the glitter too! So pretty! Love the simplicity of this card, the rainbow is awesome and great use for stencils! Happy Anniversary Altenew !!!! Love your colors !! Love the colors used . Loved learning how you made this card with the flowing drops stencil. The rainbow colors are super. Great card Janette, I love that idea, using markers and a stencil. I wouldn’t have thought about it also. Lovely use of markers and stencils! Altenew has so many great products. This is such a cool idea! Love the card! Wow…Janette, I have never thought about using that stencil in that matter. It turned out awesome! I do not have the Artist Markers yet…Only the primary assortment…but I am sure I could make do…..great idea thanks so much for sharing it. Happy Birthday to Altenew! Thanks for sharing your bright card, Janette! What a cool card, Janette! I love how you used the stencil and markers to make this awesome card. Making a few of the shapes gray was such a good idea…it made the rest of them just pop off the card! Rainbows? Yes! It’s lovely and nice that you put into use a new technique that you learned. Very beautiful and different card. Thanks. Oh what a cool card! You went a different direction than a lot of other people, which I love to see, because it gives me more options for how to use my products. Thanks for sharing with us. Love this design and the colors! Thanks for joining in on Altenew’s 5th Anniversary blog hop! The rainbow stenciling is really clever. I love this card! Sometimes we don’t even think of something as straight forward as using your stencils just with coloured outlines. And it looks so nice with simple black and white sentiments and some sparkle and a few dots! Thank you for reminding me that some of our basic beginning techniques and some creativity can look just as pretty as some of our more complicated techniques. Very clever. Very modern. Thanks for sharing. CAS style wins every time. Love the rainbow of colours you used. Great idea for a different way to use a stencil. Thanks! Love how you were so creative with the stencil to make this bright, cheery card. Beautiful card and what a unique way to use the stencils that are already in our collections. Thank you! Love rainbows and glitter and your card has both! Beautiful!!!! I love the way you used the stencils! I really love the sparkles in the stencils! I really like how simple this is, but just as pretty as an intricate card! Beautful card. Love the simple look and rainbow colors. This is an amazing card. You have done a wonderful job. Beautiful simple, and elegant card – very modern and colourful. The colors are so vibrant! Amazing job with the stencil work. This card is so simple yet so elegant. It is truly an amazing piece of art. Wonderful job! Clever use of the stencil – great card idea! I’m going to have to take that class! Love how your card turned out! Always like new ideas for using my many stencils! This is so fun and unique! Happy Birthday Altenew and many more! What a lovely card and idea! Next to do on my list! As soon as I saw your card, I knew I wanted to make one just like it. I have this stencil but never thought to use it this way. I love the rainbow coloring you did and the glitter paint is amazing! Thanks for the inspiration! Love your use of stencil here, I think I need to take the magical marker techniques class, stunning results. Thanks for sharing and Happy Anniversary to Altenew! What a beauty ! Great design, beautiful colours, great idea of using the stencil that way. Thank you for the inspiration. I have a similar stencil and sure want to try it. What a fantastic use of stencils, Janette – they are some of my most favorite supplies, but I don’t every think I’ve tried this – will now! LOVE this gorgeous creation! Gorgeous colors & lots of sparkly glitter! A perfect match! Great rainbow and great idea! Thanks for the inspiration! I love the way you described Altenew, you sure are correct! I really enjoyed your card and how even you learned something new from one of Altenew’s classes. It looks like it took a bit of time, but I love the simplistic look of your card. I LOVE STENCILS!!! I haven’t tried this one yet but after seeing yours I know I will have to try it too. Thanks for the inspiration. I love this! This is gorgeous! LOVE your design and EXCITING technique – WOW! … I need to get more creative with my stencils NOW! Such a cheerful card and great way to use stencils! Thanks for sharing. Think I’ll head over and sign up for this class! Love this card. The rainbow background looks fabulous. Very clever way to using the stencil. I love your card! Very creative. I will have to check out that class you mentioned! Love this – another great idea for stretching stencils AND markers! Absolutely love this card! such a great CAS design and love the rainbow and “easy” technique. Simple and beautiful!! Love the rainbow colors! Lovely creation! Congrats Altenew on 5 years! Love your fun flair card! Happy Birthday again to Altenew! I love you beautiful card Janette. I love the markers, they are fabulous!! I like how you made a rainbow. I would not have thought about using my markers with a stencil either – great idea! I’m going to have to look into that class myself! 🙂 Happy Birthday, Altenew! Such a beautiful and happy looking card! What a beautiful card! I love the flowing drops stencil and it’s now on my list! I love that it has a paisley effect as well! Thank you so much for the inspiration! Happy Anniversary Altenew! The way you used this stencil is just awesome. Adding the grey was a great touch! The rainbow colors brought a smile to my face. Simple design, but so eye-catching! I can see me having fun creating this card! I just received the flowing drops stencil in the mail. I now have a great idea to try with it. I love this — simple and beautiful! Love your rainbow card. So pretty. Thank you for sharing.